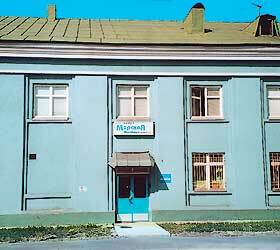 The Morskaya mini-hotel is located in the central district of Murmansk, in the building of the sea terminal, a short distance from the railway station and such city's landmarks as the Arts Museum, the Local Lore Museum, and the Philharmonic Hall. The hotel offers accommodation in 6 comfortable Suites equipped with air-conditioning, telephones, satellite TV, and hair-dryers. Other facilities and features of the Morskaya Hotel include: a business centre, a cafe, a sauna, taxi call, a guarded parking lot, currency exchange, laundry and dry-cleaning services, Internet access, air and railway tickets booking, and 24-hour in-room dining service.